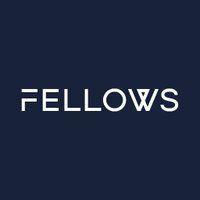 Fellows International are recognised as leaders in the field of Unexploded Ordnance (UXO) risk management. Fellows coordinate and manage the entire risk management process which includes the recommendation of risk management solutions for sites deemed as at risk of UXO. If a works area is assessed as being at risk of UXO a solution must always be implemented in order to prevent the possibility of damage and danger to life- this is often in the form of a safety and awareness briefing. Safety and awareness briefings are researched and delivered by Fellows themselves, with a number of team members inputting their specialist knowledge to ensure it covers all aspects of UXO possibilities to a particular site. The briefing is designed to ensure that site management and operators are fully aware of any UXO risk and prepare them in the event of a discovery. They are delivered by a fully qualified and experienced Fellows UXO Engineer and typically take around 40 minutes. The briefings are tailored to the specific threat and site therefore provide a detailed account of relevant historic events, along with the types of UXO that could be discovered. Individual features of the different types of munitions are highlighted, focussing on the risk of detonation and actions to be taken if a suspicious object is discovered. The briefings provide real-life examples and demonstrations in the form of videos, audio clips and images to ensure the audience is engaged and to further reveal any possible UXO threat. It is a recognised fact that 10% of all bombs and 30% of incendiary devices dropped during World War 2 failed to function as intended therefore are possibly still buried and a threat. Fellows utilise their knowledge and analysis to deliver well-researched and informative safety and awareness briefings to ensure workers on site are prepared for any UXO incident that may occur, therefore minimalizing casualties. For more information and to discuss your requirements please call Fellows on 08000 424 424.